With so much information about essential oils online, it’s hard to know who to listen to. I’ve been researching essential oil companies for nearly a year and I’m still discovering new companies and informational resources the time. Certain companies, people, and information rise to the top again and again, so it is there that I seem to find truth. I decided I wanted reliable information from a trusted source which is why I enrolled to study at Aromahead Institute for my aromatherapy certification. Certification may not be for everyone, however, there are many classes available out there where you can at least discover for yourself if you want to go further. One thing I’ve noticed about people who love essential oils is that they want: 1. More oils; and 2. More information! So, if you’d like to learn more and not spend more, then there are a few FREE essential oil educational opportunities that you should know about. Aromahead’s Introduction to Essential Oils class: This was the first essential oil class that I ever took. 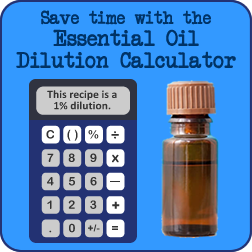 It gives you a good overview of essential oils as well as several recipes to jump right in and get started. Andrea Butje, owner of Aromahead, is well respected in the aromatherapy world. I love her warm teaching style and the fact that she follows and teaches safe-use guidelines. She often refers to Essential Oil Safety 2nd Edition by Robert Tisserand and Rodney Young. After taking this class, I knew that I wanted to go to Aromahead for my certification. Real Essential Oil Education: Ashley Glassman has both a Facebook group (with over 8,000 members), Real Essential Oil Education, and a website where she shares information about essential oils. Ashley has a mission to provide people with factual information about essential oils. Rather than repeating strict rules about essential oils, such as “Never” do such and such with oils, she gives an explanation. She tells you why and what grey areas there may actually be. Ashley has well over a decade of experience with aromatherapy and herbs. She has two classes available for free on her website: 1. Essential Oil Class: and 2. Herbal Tinctures for Children Class. Lesson #3: Are All Brands of Essential Oils the Same? It’s important to note that while wonderful, essential oils are only one tool for your toolbox. I love that Ashley also gives information about herbal tinctures, especially as they relate to children. An important thing to know when using any tool is when it’s the wrong tool (or at least not the best tool) and which tool is best suited for the job. This is why I’m studying aromatherapy, herbal medicine, and homeopathy: because they all have a place and a purpose. Both the Essential Oil and Herbal Tinctures for Children class used to be a paid section on Ashley’s website. She has made them completely free so that more people can get good info before using these methods for themselves and their families. Thanks, Ashley! Essential Oil University: Dr. Robert Pappas is the most recognized name in GC/MS testing of essential oils and the founder of Essential Oil University. In his commitment to help people understand the chemistry of essential oils, he recently made his series of videos on The Chemistry of Essential Oils available free of charge on YouTube. Warning: this is an advanced level class. Be sure to watch the intro videos before you start. If you decide you’d like a course certificate, you can purchase the course for $500. For this fee you will also receive a 49 sample chem kit and course notes. Dr. Pappas also has a free reference database available on his website. Although there is no charge, you must register as a user on the website to gain access. The Essential Oils Revolution Summit: This event is a brand-neutral summit to discuss many topics regarding essential oils. While there are some speakers that I am a bit leery about or know nothing about, there are also several really great speakers that make this summit worth signing up for. Sylla Sheppard Hanger and her daughter, Nyssa Hanger, will be talking about essential oil safety. Sylla is the director of The Atlantic Institute and is known for her eye toward safety with essential oils. Ty Bollinger is the guy that put together an amazing video series, The Truth About Cancer, and he’ll be talking about “Quest for Cure.” I love to listen to anything by Ty because he has already taught me so much. Dr. Robert Pappas, who is synonymous with GC/MS in the essential oil world, will be talking about Essential Oil Adulteration. I’ve decided to keep an open mind about this summit. I know I will hear some things that I don’t agree with, and I think it’s valuable to hear information from many perspectives. If nothing else, there are some amazing speakers and I’m sure to learn something. Sometimes just hearing another side of a topic is an education in and of itself. It shows where we can all grow together as a community. 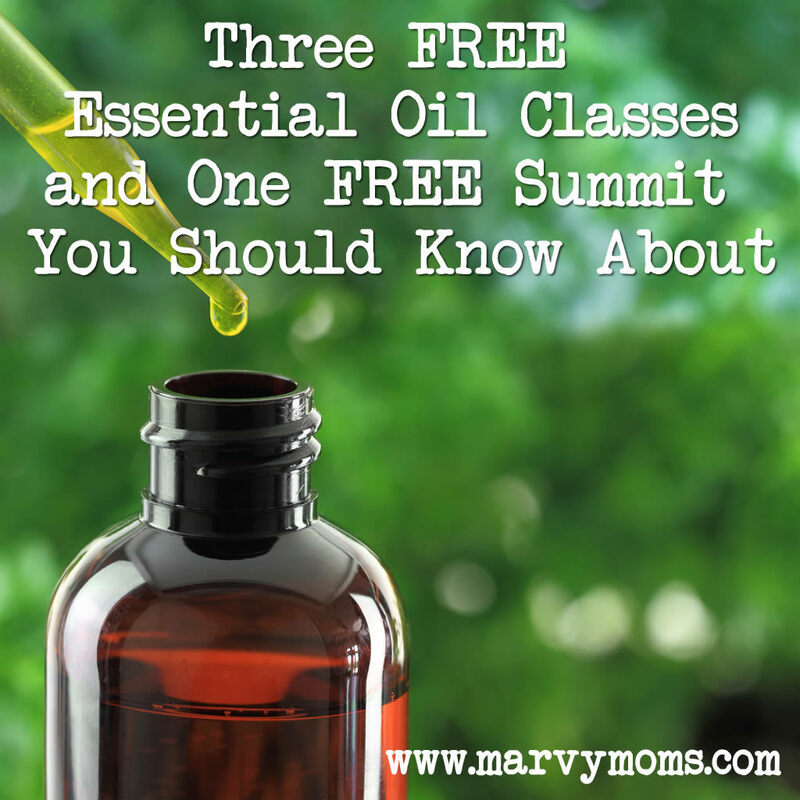 These three classes and one summit should give you a great start on learning more about essential oils. Be sure to tell me if you take advantage of these opportunities to learn and what you think of each one. I’d also love to hear in the comments which summit speakers you’re looking forward to hearing so that I’m sure not to miss them! Sign up to have Marvy Moms updates sent to your inbox to be sure you see all articles about the essential oils as I post them! Be sure to also explore my series of Essential Oils Company Profiles! Thanks for these classes I will get right on them. I’d love to get certified in the future too but that is an expensive course that you took. I have a BA in History and the thought of writing more papers is very unappealing too. Oh well. Lianne, it’s mostly case studies which are a different type of writing and then one 8-10 page research paper, so probably not at all near the amount a history major would have to write. Not everyone needs to becaome a certified aromatherapist, and there are some great classes out there if you are just interested in learning more. Aromahead has some great classes that I’m sure you would enjoy, and the free basics class is a great place to start. Thanks for the additional feedback. Yeah with my degree there were a few 20 page papers, so who wants to do that again. I have been using essential oils on a beginner level for about 10 years and finally have the time to learn about them on a more advanced level (including cellular) so I am getting some of the more technical/scientific essential oil books and will start with the free and low cost classes. That should suit me fine for personal, home, and family use. That sounds like a great start! If you’re like me, you’ll want to keep learning more. And if not, then you’ll still have a great foundation. Have fun! Thank you for the info. I actually listened to one of Andrea’s webinar from AromaHead. She’s very knowledgeable and I would love to take her course but the money gets in the way. I’ll look into your suggestions for now.